This song is the song of today. It expresses the artist's intuitive thoughts of where the world is going at this moment and what is really happening to it. While dreamy and pleasant to listen to it makes you think. The first song Angelina Moysov wrote is about a little girl standing at a window watching the moon cry tears of blood. The moon is saddened by the way humans treat one another. Moysov was 13 when she penned the song, living in her hometown of Pyatigorsk, Russia, under a perpetually pale sky. The porcelain-skinned Russky’s prose continued to blossom from there. When accomplished guitarist Tom Ayres got a taste – shortly after Moysov moved to the States – Persephone’s Bees took flight. Trying to confine the Oakland-based quartet to a specific genre is a lost cause. Persephone’s is more like an elephant-sized beehive stuffed with Russ Meyers’ Beyond the Valley of the Dolls, John Lennon and Yoko Ono’s Double Fantasy, the poetry of Osip Mandelstam (“Persephone’s Bees” is a phrase from one of his works) and most importantly, life experience. Moysov finds muses in everything she experiences and at some point, it overflows into her songwriting. One book that inspired a new song was The Master and Margarita (also the title of the song and Mick Jagger’s inspiration for “Sympathy for the Devil”) by Russian writer Mikhail Bulgakov. Persephone’s released their first album City of Love in 2002, but the world took notice in 2006 after they signed to Columbia Records and released their second album, Notes from the Underworld. Some of the songs from the album have been featured in commercials, video games and even on The Sopranos. “Way to Your Heart” is proof that Moysov and Ayres are both strong forces – and without one, the group just wouldn’t work. 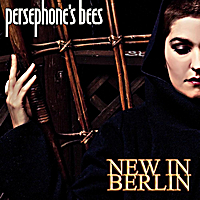 Persephone’s Bees continues to prevail even after leaving Columbia Records: Its third, yet-to-be titled album was recently completed. Without the lavish, big studio production, Ayres and Moysov were tasked with the intricate process, but Moysov says she cannot be happier with the outcome.